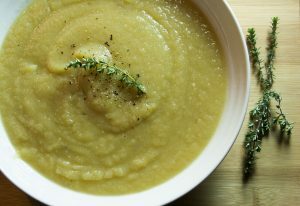 This celeriac, celery and apple soup is another of our favourites as it is a nice sweet flavor and there is something about the taste of celeriac in soups which gives a lightness of flavour. My friend over from Kids Kitchen South London asked me for the recipe after she saw my girls slurping it down from their flasks at their dance club, so that inspired me to write it up. It snowed today in South East London for the first time in five years. We bought our sledge during the last bit of snow over at the other hill, and a week before we moved 10 minutes away to the bottom of one of the best hills in London for sledging. So excited was I about just popping over the road to sledge, that it only took 5 years for the snow to arrive! We went last night at dusk and again after school today where there were about a hundred kids and their parents sledging down the hill in arctic winds. It was so much fun. This is the epitome of what winter meant as a child. I’m sure I’m not alone in noticing the disastrous effects of global warming in the way that affects our urban lives that it took 5 years for the snow to arrive. As a child growing up in north London, it snowed every year, or maybe only skipped 1 year at the most. Not for a minute do I forget about the other effects of us destroying our planet with more floods and droughts across the world, the intensity of hurricanes, the decline of wildlife such as penguins and polar bears, a damaged ecosystem with many parasites thriving and others becoming extinct. I am worried for our children and our children’s children. We need to make personal changes now, and more than ever try to change the industries we are working in and the small changes in our own homes such as not using our cars so much and not using wood burners. So I go on…. but making the most of the rare and lovely afternoon on the hill sledging, laughing, screaming and shivering in the arctic winds. My daughter’s friends came round after to warm up and ended up staying for soup. I’d cooked a massive pot of celeriac, celery and apple soup, so had plenty to go round along with some freshly baked gluten free baguettes, which all went down like a mighty treat. I think they all will sleep well tonight. Step 5 Turn off the heat and let cool before you whizz it up to a smooth soup. Step 6 If it is too thick add a bit more water. We like our soups thick, so these recipes are for the taste of a thick texture. If you want it to be thinner then check the taste that its not too watery, you may need to add more stock. Sign up to get the latest recipes! 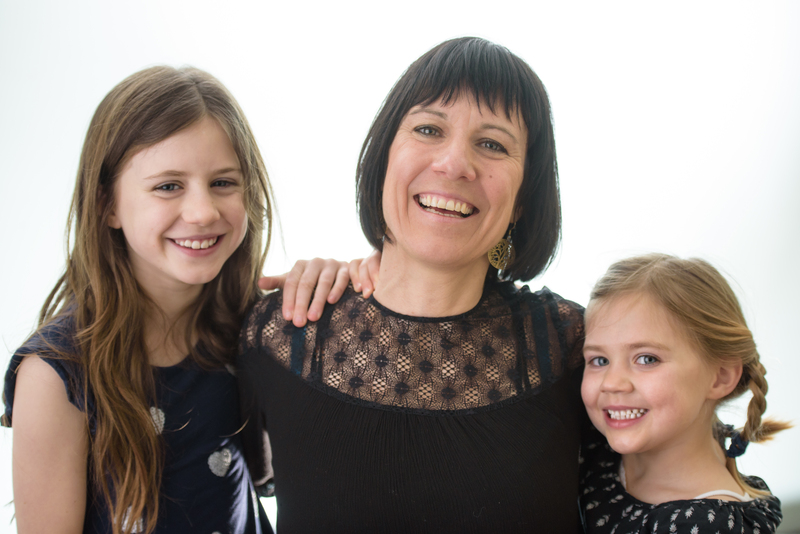 I’m Nic, a mother of 2 young children with coeliac disease and my eldest also has an egg allergy. Since the first diagnosis in December 2013, our family life has changed dramatically. Cooking, shopping, eating out, visiting friends, play dates and holidays in a family where there are multiple food related issues has been daunting to say the least. This has led me to rise to the challenge, learn fast to make sure my kids have the best nutrition they possibly can. I invite you and your children to join me on my lifetime journey with gluten free nutritious food for all the family.